Chosen by most opticians around the world for its exceptionally thorough and yet gentle cleaning performance, our lens cleaning formula contains no harsh cleaning substances that could damage the lenses, or high quality coatings. High performance cleaning formula: removes thoroughly stubborn soiling, dust, smudges, fingerprints and oily residues, leaving the surface free of streaks. 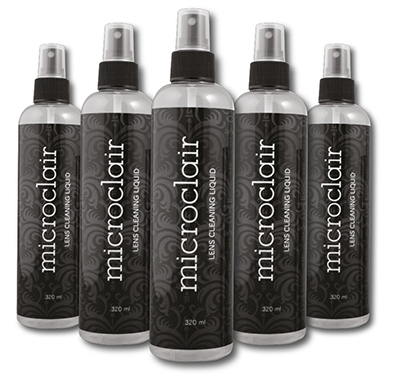 Anti-static and Anti-smudge properties: ensures a long-lasting clean result. Safe for all eyewear, delicate high-end frames and coatings -including anti-reflective, photochromic, polarized or mirror coated eyewear.